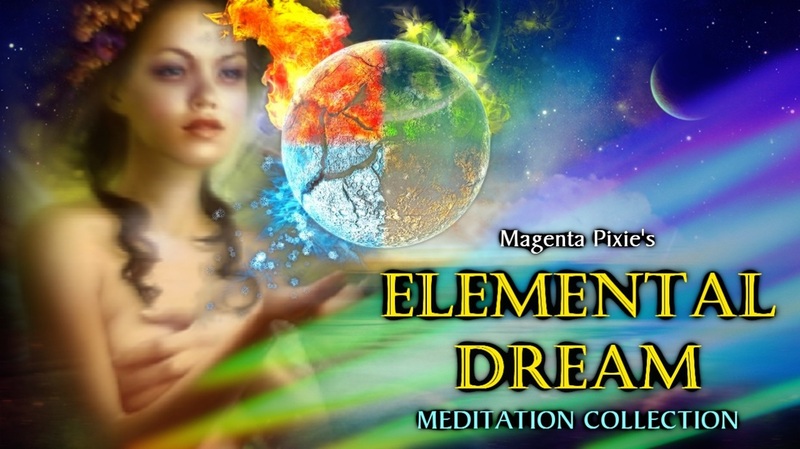 Draw the elemental realm close through these channelled guided meditations from Magenta Pixie. The elemental realm, a harmonic between the third and fourth dimensions, is an ideal place from which to create and manifest. The archetypes you will meet within these meditations are aspects of the universal mind, presenting keys, codes and triggers for your spiritual awakening. Utilizing the sacred language of the DNA, the "language of light", each archetype carries coded light language in the form of colour and symbol. This communicates with your DNA, the aspect of you that holds the wider perspective. The visual journeys through the fields of the imagination are keys to your own dreamtime. These meditations are suitable for beginners and advanced meditators and dreamers alike. Open to your own inner joy and love as you embrace the Elemental Dream.